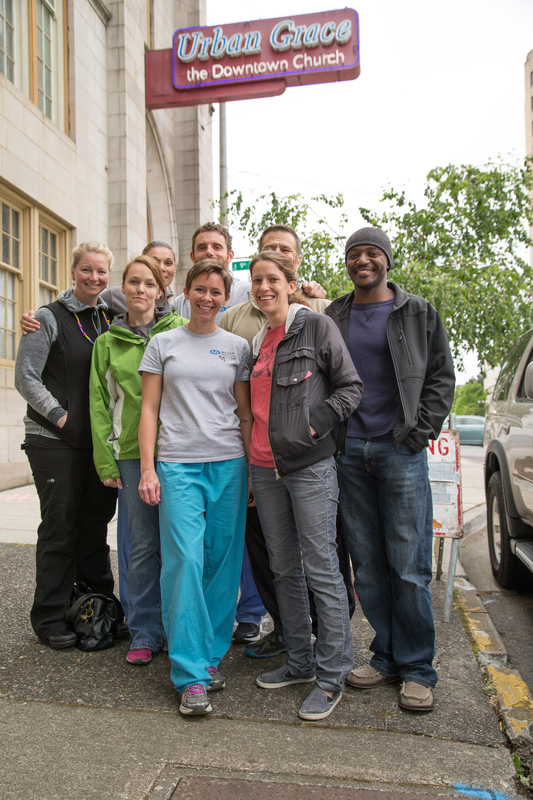 The mission of the MEDEX Tacoma-Urban Grace Foot Care Project is to provide basic foot care to downtown Tacoma’s underserved citizens while building unity and trust with the medical community. In partnership with Urban Grace Church, the MEDEX-Tacoma PA Program cares for the underserved and homeless of downtown Tacoma. Each month, in conjunction with Urban Grace’s free Sunday breakfast, students and community medical providers come together to provide basic foot care to men, women, and children. This is truly a community and family endeavor to build trust and provide care for those who may not always have access.